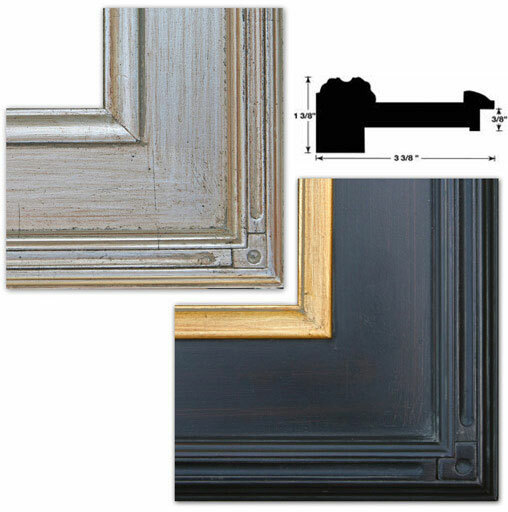 The Laguna Dark Espresso and Silver broken leaf are beautiful flat panel plein air frames. Hand finished to a lustrous satin finish with gold or bronze lip. The Silver broken leaf is antiqued to perfection. 3 3/8 inches wide, solid wood frame. One of our best sellers. Absolutely stunning!